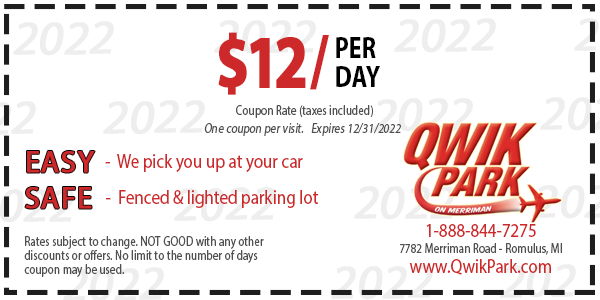 $10 Per Day Coupon Rate! Find great off-site Detroit Metro Airport Parking that�s convenient and fast! Qwik Park has over 5000 spaces for DTW Airport Parking. Our shuttles run continuously every 5-10 minutes to Detroit Airport (DTW).